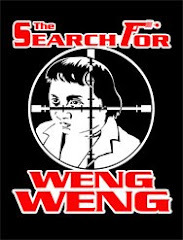 Weng Weng is featured in a sizable (ahem) role as the older brother of one of the criminal juveniles. Of all of Weng Weng’s early features, this one remained the most mysterious and elusive. 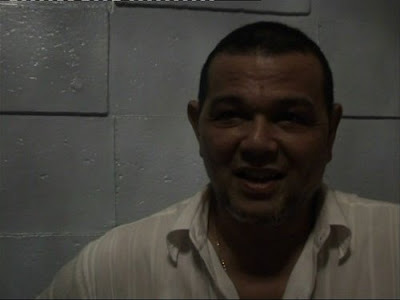 The trail began with a chance meeting with actor Rez Cortez in July 2007; the famous contrabida was at the Film Academy for a Screen Actors Guild meeting, and happened to mention in passing that even HE was in a film with Weng Weng. Of course he couldn’t remember the name of the film, or the year, or his other co-stars. It looked like another dead end. Andrew: Do you remember the movie now? Rez: During that time it’s a movie that is something you can forget. There is no significant experience with that movie. Only the novelty of working with Weng Weng, and the curiosity – “What’s this Weng Weng? Is he a TOY?” Then I realize he’s human, he’s a person. He’s a very sad person. He tried to smile, but you can see it in his eyes that he’s very lonely, his connection with people is very superficial. But we play like humans, to be teased by women. When he looks at the actresses he’s working with, he’s titillated. You say, “Hey Weng Weng, this actress, I think she likes you!” He enjoyed that. His limitations… Of course his voice is very small, sometimes I had a hard time understanding what he’s talking about. I have to ask, “What? Anong?” He tried to connect. But he’s got limitations, I think he cannot get in touch with his feelings. Because when you ask, “Do you feel lonely?” “Yeah, I cried…” So his inner thing is somehow very superficial. As an actor you have to be in touch with your emotions. And that’s why there’s a style or a way to direct Weng. How can you draw out that emotion if he himself cannot recognize those emotions? When you ask him “How do you feel,” his answer is something else. It’s not a feeling that he’s thought about. It’s a factual thing that he can experience. Also I’m aware that he’s taken care of by the producers [Peter & Cora Caballes], that somehow the producers are not giving him the compensation that he’s supposed to get. You can tell this, just from being on the set? The producers are taking care of him, but the problem is he’s the lead star. He’s very small, yeah? He’s supposed to ride in a car, but you can see him on the set riding in the utility service [truck]. Because maybe the production manager said, “Hey, pick up Weng Weng!” They don’t repackage him as a star. Actually I think Weng Weng’s happy with that. Maybe for him it’s a blessing; for him it’s something higher than what he’s having. But he deserved more. Was he one of the main characters? One of the leads. Because there’s an action star who’s in that movie, sort of a tandem with Weng Weng. Of course it’s the kind of movie where they like to shoot my scenes in one day so I’ll be finished. So they try to squeeze all my scenes. Your involvement in the film was minimal? Do you remember anything about the plot? It’s about a type of syndicate. We take care of some kids and we ask them to sell something, and some of the kids we use as a courier for illegal items, like drugs and other things. Is Weng Weng one of those kids? Weng Weng is supposed to be a relative of one of the kids. And he sort of saves them. As I’ve said, it’s one movie that you want to forget. So my recollection of that movie’s very vague. It’s a movie where you don’t like what you’re doing. Just to get over this, let’s finish this. Because if you’re going to suggest something, you have to fix everything. The material has a problem in the first place. That’s how I work with that kind of material – just to get over this. So it’s not a B film, it’s a C or D film…? What do you remember about working with the Caballes? In the first place they’re not filmmakers. They’re just there because they know they can make money. So, that creative aspect of a producer is non-existent. They continue producing because of Weng Weng. It’s an opportunity for them to make money and spend less. But they’re good people, and I like them, Pete and Cora. They’re OK. But they’re not filmmakers, they’re businessmen, and they’re producers that believe money saved is money earned. In an extreme context. Even food, they tried to cut the cost of food. I don’t like to be judgemental, but they’re part of the system. There are a lot of producers like them. They’re there for the wrong reasons. Not necessarily wrong , but it’s a reason that I don’t agree with. But if you’re going to be a producer, you must have the vision, you have to have a hold on your material. But of course everything came down to economics. They’re that type of producer.